Greekferries Club SAYour ferry booking in 3 simple…steps! 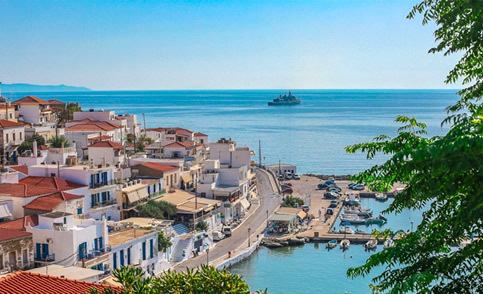 Gavrio is the main port of Andros and is located 31 kilometers from the center and very close to the cosmopolitan Batsi. 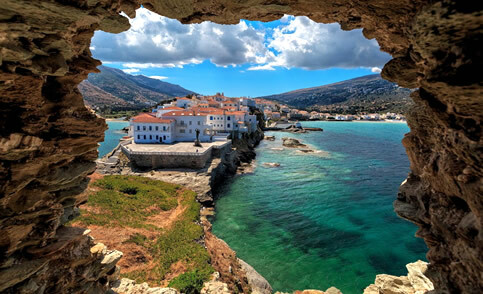 Andros is also known as "The lady of Cyclades". Walking in the picturesque alleys in its center you will see gorgeous neoclassical houses and old churches. 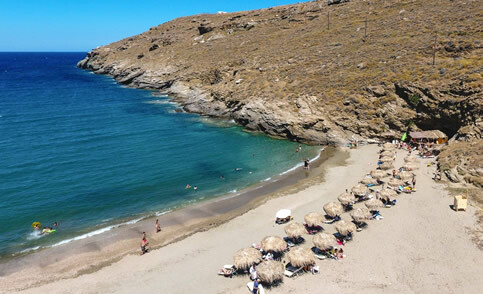 Andros is an ideal destination for a quick excursion since it is one of the closest islands to Athens. The center offers a wide range of restaurants as well as many nightlife options. It has several attractions, most notably the Museum of Contemporary Art. The island is surrounded by many mountain and seaside villages. 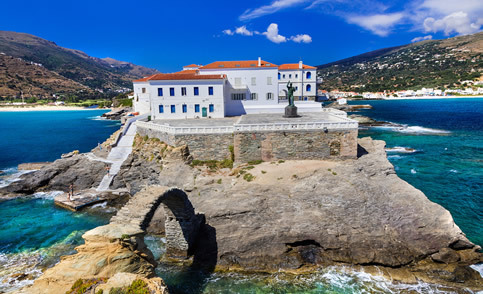 Batsi is the most picturesque settlement on the island, with many seaside taverns and a beautiful sandy beach. The countless beaches of the island and the picturesque coves cover all tastes. 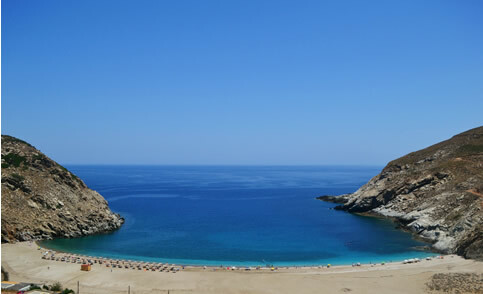 The most cosmopolitan beaches of the island are organized and easily accessible from the center and Gavrio.